I know January health kicks are a bit of a cliche what with all the ‘New year, new me’ declaration, but after spending December practically inhaling junk food, cheese & biscuits and Baileys on a daily basis I thought it was time to get myself back in to healthy eating. It’s not that I just want to lose a few pounds, but I wanted to generally feel better in myself. I’ve suffered with mild IBS for a long while and tend to get extremely bloated and uncomfortable after certain foods, most of which I ate copious amounts of during Christmas (it’s always the tastiest things! ), so I want to make more of an effort of looking after my body and making sure I keep the symptoms at bay. Aside from hitting the gym and doing some at-home fitness in my sportswear from Onlysportsgear.com, I’ve been trying some new tricks to help with feeling healthier. Here’s some of the new habits I’ve got myself in to throughout the month that are helping me stay healthy, shed a little weight and feel better in myself! 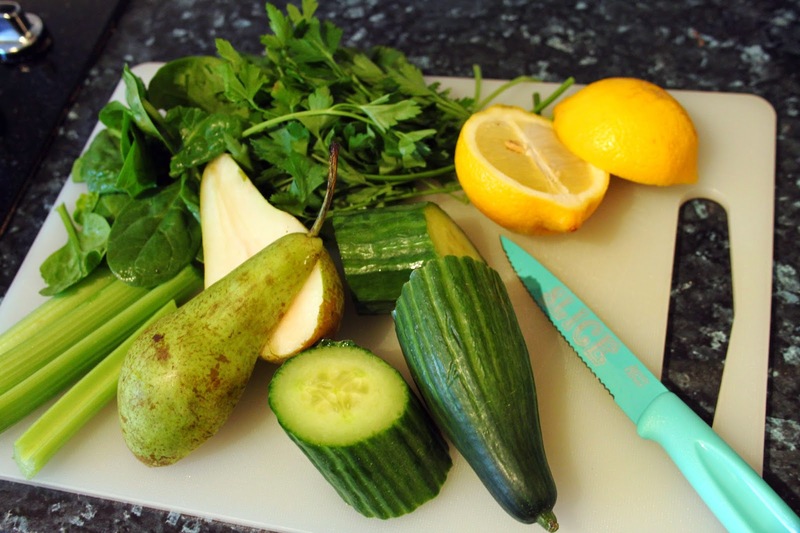 You may be aware that I’m currently taking part in a 21 Day Juice Detox blogging assignment for Philips, which you’ll find out more on when the 3 weeks is up. I’ve never really been in to juicing before, though when I’ve bought them in cafes and juice bars in the past I’ve always enjoyed them. The juices I’ve been making have been recommended by nutritionists and trainers, and are packed with goodness with lots of fruits and veggies. I must admit, I’ve not been a fan of all of the ones I’ve tried so far, but I’m really enjoying the pick-me-up I get when I’ve finished one! Working in an office environment is an absolute killer if you’re trying to diet, as there’s always to temptation to nibble on something whilst working away, especially during the afternoon. I decided the ditch the stash of high calorie snacks that were lurking in my desk drawer, and instead switched them for some healthy treats. When my sweet tooth starts nagging I’ve been reaching for a pack of Yu! Fruit Flakes*, which are tasty little treats made from dried fruit pieces. My favourites are the yogurt coated bites as they are extra sweet and tasty! 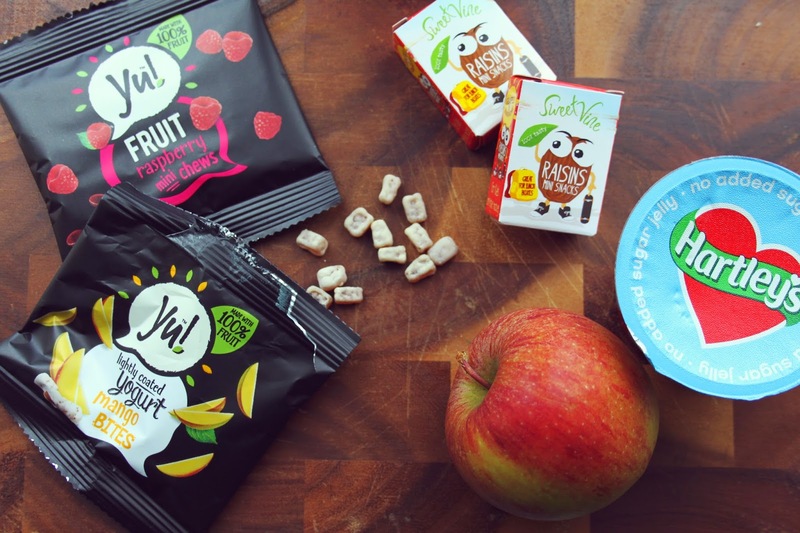 Other treats I’ve been really enjoying are mini packets of raisins, apples and low fat jelly pots (only 5 calories a pot – crazy!) to keep my chocolate cravings at bay. 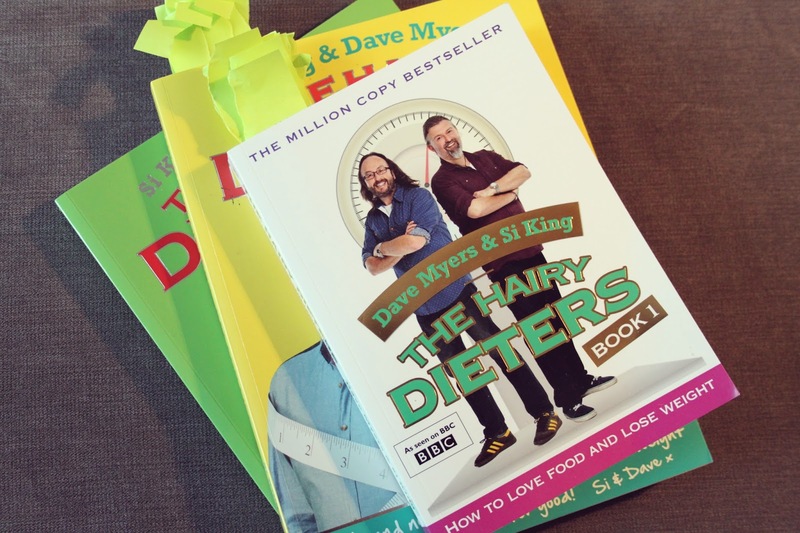 I absolutely love cooking, and I really got in to the Hairy Dieters TV series last year, so decided to pick up their recipe books. If you’re trying to lose weight but still want to cook yourself some delicious meals, I’d definitely recommend this. Every recipe I’ve cooked over the past three weeks has been from here, and they’ve all gone down a storm with myself and Dan. I’ve been cooking an evening meal from the book, but made enough for one extra portion to take for work the next day. Every meal is low calorie, really easy to make and the books feature some great tips for maintaining a healthy lifestyle. There’s some great low fat versions of family favourites, takeaways and deserts. I’d really recommend the Chicken Korma, 5 Minute Pizzas, Pan Haggerty and Cajun Chicken with Potato Wedges! A pretty obvious one but something I think we tend to forget to do, especially when it’s so cold outside! I don’t mind drinking water, but I do get bored of it pretty easily. 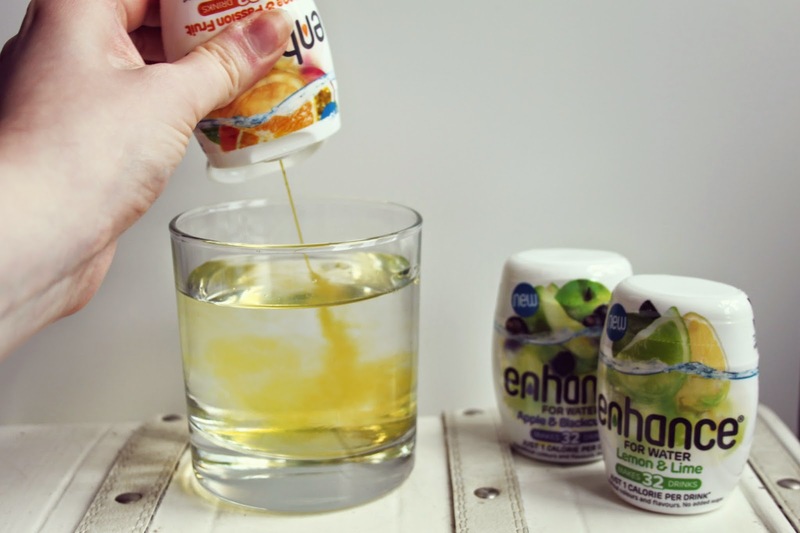 I’ve been using these cute little Enhance* cordials that you simply squeeze in to water to add some flavour! They make around 32 drinks each, and come in lots of different fruity flavours. What’s more, they’re only 1 calorie per drink, so are perfect if you’re watching your weight. I’ve been keeping one of these in my handbag to spruce up my water when I’m on the go! An app I’ve been obsessed with for a few years now is My Fitness Pal. 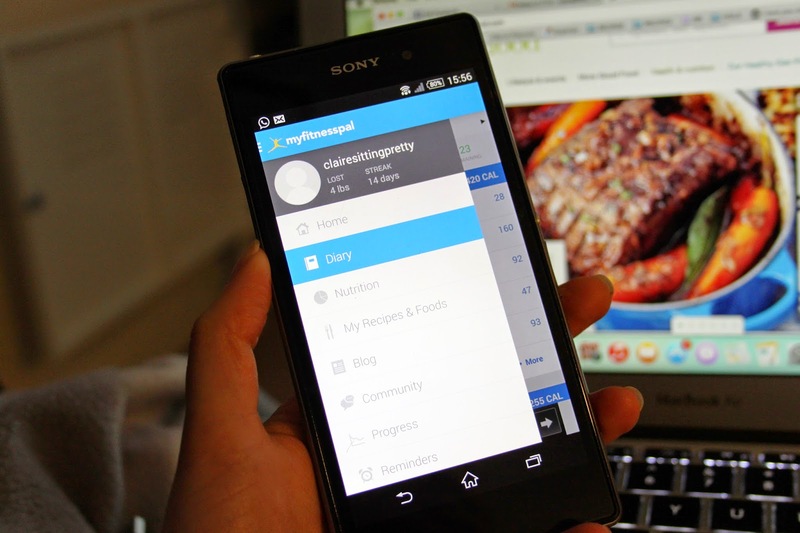 It’s a free app that tracks your weight loss, exercise and calorie intake and I find it really helps me understand portions and nutritional values of the food I eat. I’ve been keeping track of all of my meals to make sure I stay under my recommended calories for each day, and can also see my progress over time, too. I really like how you can scan the barcodes on food to automatically upload the calorie content. Super easy to use and really handy for watching what you eat! What are your top tips for staying healthy? 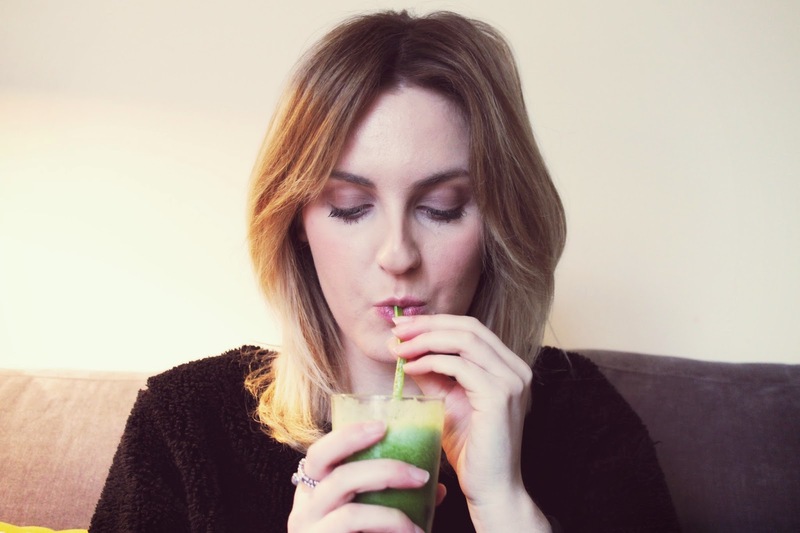 Have you been on a health kick this January? "NEW YEAR, NEW YOU: IS IT TIME FOR A HAIR TRANSFORMATION?"